Every year millions of people invest their money into gold, oil, and precious metals, yet diamonds are a virtually unexplored financial asset. With the diamond industry having an estimated valued of $80 billion annual turnover, diamonds are primed to become financial investors next treasure trove. Stability of Value: diamonds are a safe investment in that they maintain their value even in economically uncertain times. Much like gold, diamonds remain unaffected but drops in the financial markets and unlike cryptocurrencies and other newer investment opportunities, the nature of diamonds as a tangible asset with significant lifespans, secure their value where other investments may diminish over time. Diamonds have both practical value with their use in industrial production as well personal value as signifiers of wealth and commitment to those who buy them as jewelry, gifts and engagement rings. Diamonds are extremely high value for their weight and volume, meaning they are easily transported and stored. Levi, along with his team of heavyweights in the diamond and finance industry, has set the task to eliminate these limitations with their new and exciting CEDEX Diamond Exchange. CEDEX potential has not gone unnoticed by others in the investment industry. One of the earliest supporters of CEDEX has been TechFinancial, a public company traded on the London Stock Exchange, who became a 90% majority shareholder of the company. TechFinancial has pledged to support CEDEX both financially as well as assist with resources, workforce, and experience that they have available to grow the enterprise. With the use of the CEDEX solution, we are seeing a realistic way to combat the issues of Transparency, Liquidity, and Standardization that have kept investors away in the past. 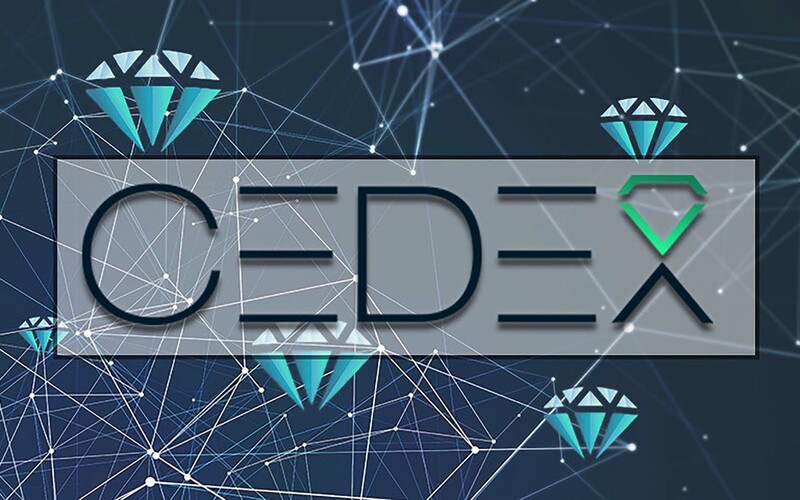 With the deployment of the CEDEX’s sophisticated machine learning algorithm, the DEX, alongside the CEDEX Exchange and CEDEX Coin, these issues will no longer be valid within the diamond industry. We are entering a very exciting time for the diamond industry, which the people at CEDEX suggest will see the formation of diamonds as the next financial asset class. If you are interested in keeping up to date with CEDEX you can follow them on Telegram, Twitter, and Facebook. Additionally, if you would like to learn more about its ICO launch on the 16th of March 2018 as well as test out the DEX algorithm with any diamonds you already own, these can be found at www.cedex.com.